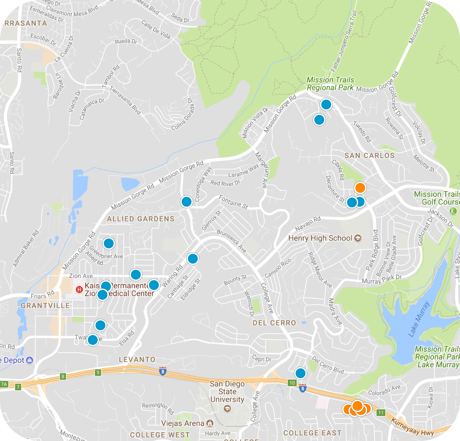 San Diego Home Sales website search offers all Del Cerro homes, condos and foreclosures for sale. You are able to get new property listings daily that meet your search criteria. A small community in Southern California, Del Cerro is a part of the city of San Diego and is home to about 2,300 residents. It lies in the eastern part of the city, bordering San Carlos, Allied Gardens, College Area, Grantville and the city of La Mesa in East County. It was developed in the 1960s and '70s, and has been known to be prone to some of the Southern California wildfires. Its name means “the Hill” in Spanish. There is currently a plan proposing to build housing in Del Cerro for faculty and staff of the nearby San Diego State University, but the plan has not yet been approved, as it is being contested on environmental grounds and is currently in court. 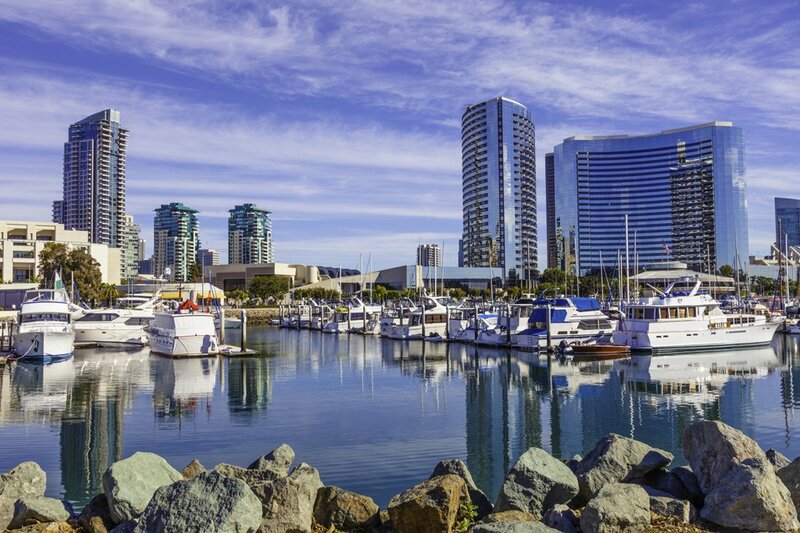 Del Cerro is just minutes from Interstate 8, which connects it with the surrounding communities as well as downtown San Diego. The community is adjacent to Lake Murray and the Lake Murray Park, offering residents quick access for an enjoyable place to relax and unwind during the warmest months. Annually, it holds events such as a block party with live music and a Fourth of July pool party at the private Del Cerro Park Pool. The community is served by the Mission Times Courier newspaper. There are several shopping centers located both within the community and on the fringes of town. There are two schools located physically within Del Cerro, Phoebe A. Hearst Elementary, Lewis Middle School and Patrick Henry High School. The community also lies adjacent to San Diego State University, making it an ideal location for those who are either studying at or employed by the school. It is also just north of the USCD Child-Adolescent Psychiatry Hospital.